Samuel is a student from Papamoa, when he’s not studying or riding he’s out water skiing. He races road and track as well as mountain bikes - cross country and enduro. I ride bikes to push myself as far as possible. I have always just loved the peacefulness of riding on your own, and I also like riding with groups. Cycling has definitely made me who I am, it has made me able to push through much more than I ever thought I could. 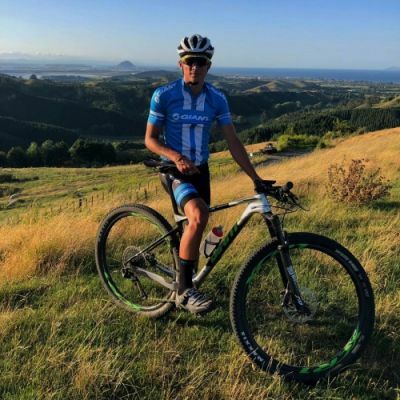 I do lots of work for the Tauranga MTB club as the youngest representative on the club committee and I do a lot for our club racing.